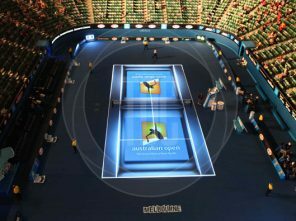 Tennis Australia made its mark on the International Tennis scene with video projection centre court for the Australian Open held in Melbourne in January. 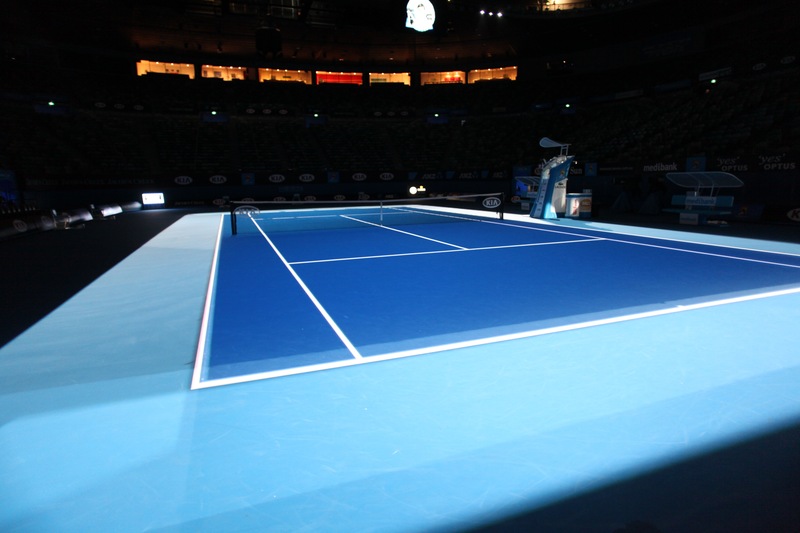 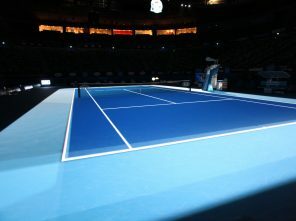 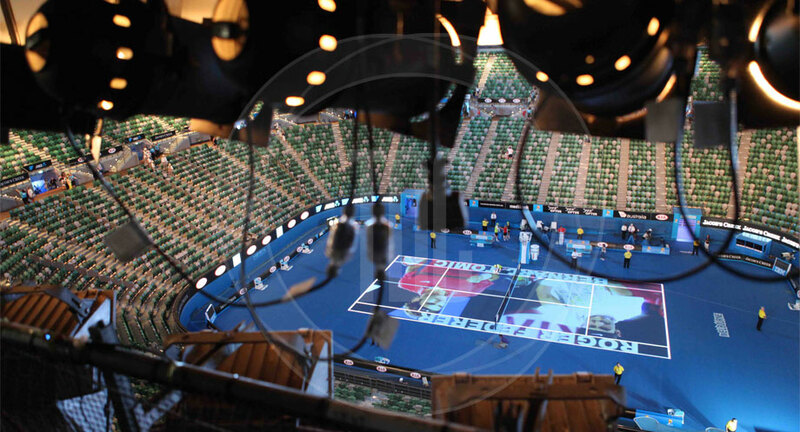 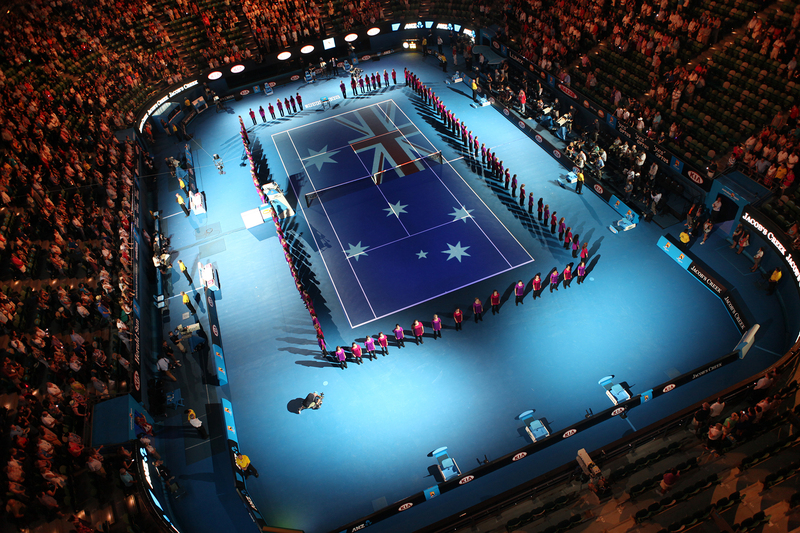 In 2012 Tennis Australia engaged Projectionteknik to provide some pre-match audience interest on the centre court with a pair of its 6kW (80K ANSI lumen) Pani HMI projectors, fitted with 180mm x 180mm slide changers. 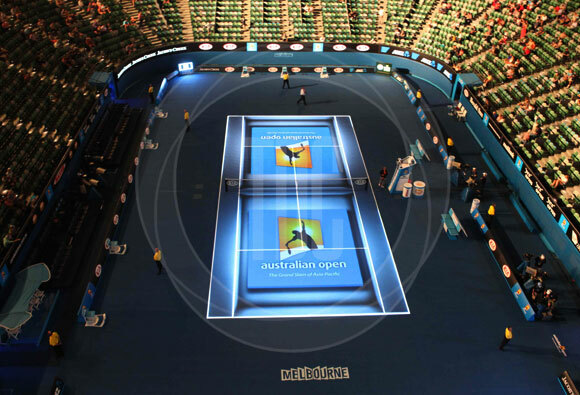 Organisers were so pleased with the response they decided to take the mapped projection concept much further for the 2013 Open. 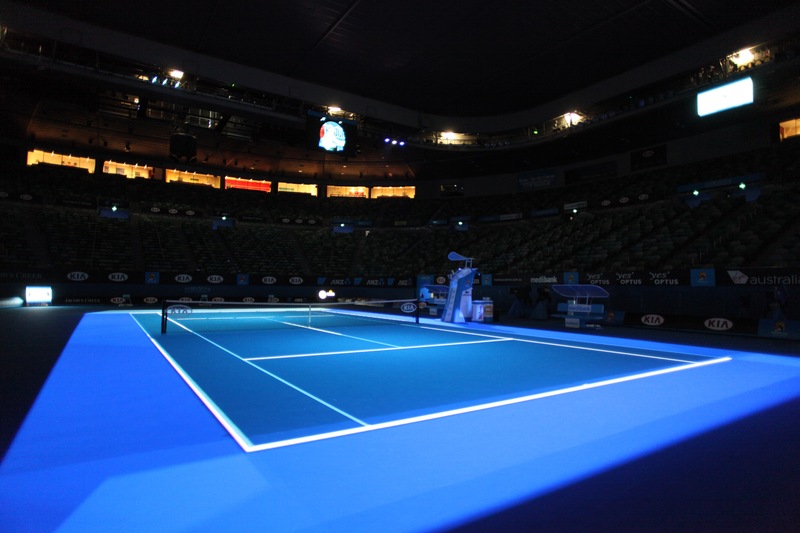 In 2013 Projectionteknik brought in its digital projection technology supplier Technical Direction Company (TDC) to deliver full-motion video content onto the playing area before matches and during presentation ceremonies. 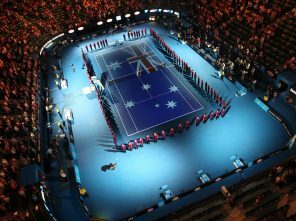 The installation consisted of six of TDC’s latest 26K ANSI lumen Barco HD projectors rigged on the main catwalk surrounding the Rod Laver arena. 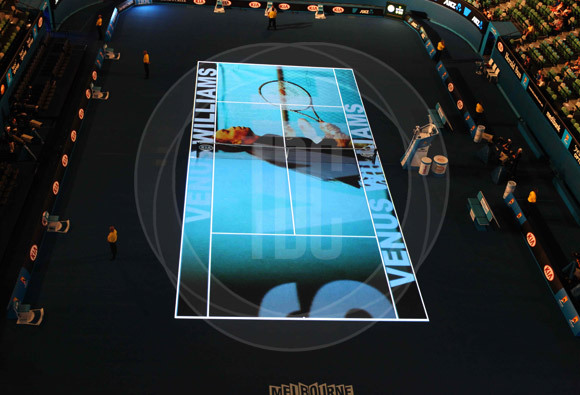 Covering the court accurately and evenly from such a high angle required some serious warping and blending from the Coolux Pandoras Box LT players driving the projectors. 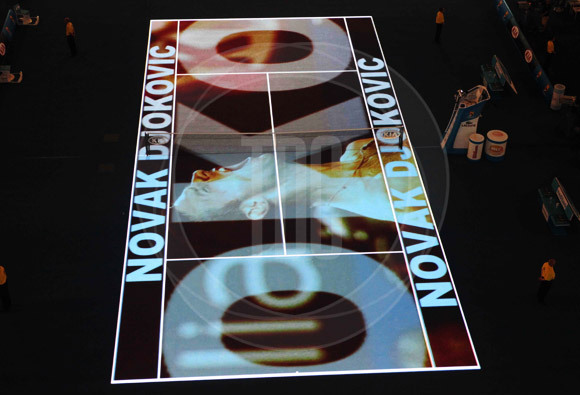 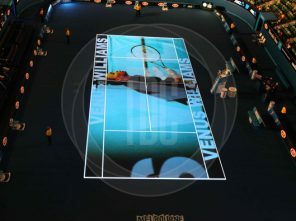 These projectors were arranged in a blended configuration delivering a smooth image across the court. 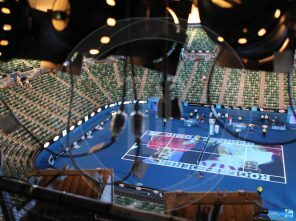 Pandora’s warping abilities were an invaluable tool in adjusting and aligning the image from the less than conventional projector placement. 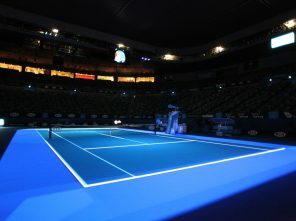 As unique content was created daily for each game featuring footage of the players, combined with historic tennis footage provided by Tennis Australia, Pandoras ability for rapid media update were invaluable in delivery of daily updates to footage.